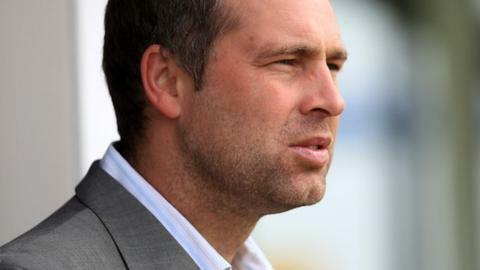 Dagenham & Redbridge coach Wayne Burnett has admitted he is searching for the right combination up front. The League Two side have scored just five goals in their opening seven games and have yet to record their first win. Burnett told BBC London 94.9: "We are trying to get the [right] combination and sometimes it takes a few games. "It isn't for the lack of trying from any of them. We need them to gel, and quickly, because we need to start putting points on the table." But Burnett is confident the Victoria Road outfit will start finding the back of the net and move up the table. "Dwight Gayle has played the majority of the time and Sam Williams has come in, as has Brian Woodall," Burnett continued. "They're all young lads and they may need a bit of time. "All the staff are frustrated. We want it to work and are desperate for it to work, like everyone else. "It's not for the lack of trying on the training field and working on things. "I don't feel we are playing too badly. We are just not converting chances at critical and crucial times."